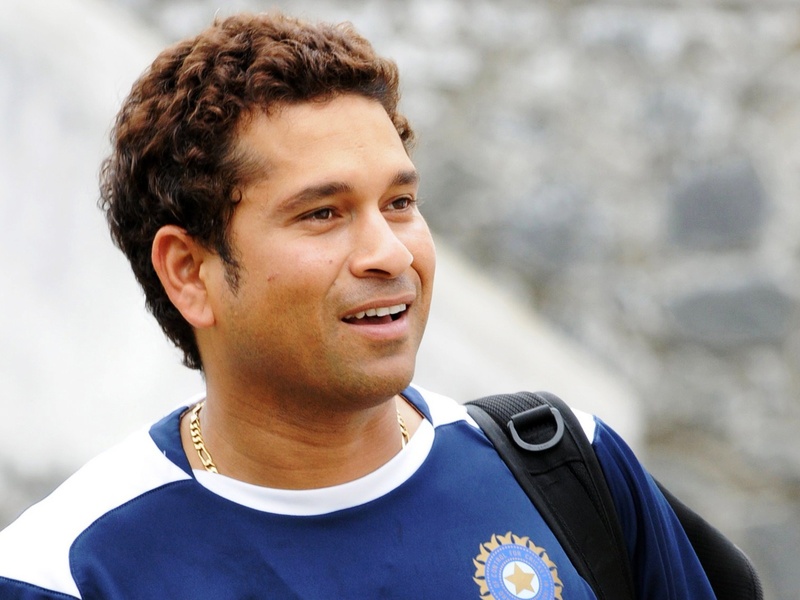 Master Blaster or Cricket God Sachin Tendulkar has announced retirement from test cricket. The star batsman has declared that he will say it quits after playing his 200th test. The announcement will deal a heavy blow to the Indian cricket team, which has been relying heavily on this genius. The God of cricket, as Sachin is fondly called in India, has already taken retirement from ODIs and IPL. Ever since India won the World Cup, all eyes have been on Sachin, who had always dreamed of winning the biggest cricket event. Critics have been eagerly awaiting his retirement decision. In Sachin's words, "All my life, I have had a dream of playing cricket for India. I have been living this dream every day for the last 24 years. It’s hard for me to imagine a life without playing cricket because it’s all I have ever done since I was 11 years old. It’s been a huge honour to have represented my country and played all over the world. I look forward to playing my 200th Test Match on home soil, as I call it a day." Without doubt, Sachin Tendulkar is the greatest cricketer India has ever produced. As one of his greatest fans, I am writing with a heavy heart, because cricket to me begins with Sachin. In fact, I started watching cricket for Sachin when I knew nuts about the rules of the game. It was Sachin's classic cover drives and exceptional talent that taught me why cricket was such an exciting game and why Sachin himself was an entertainer. As a keen follower of Sachin, I admire him for his every single achievement for cricket in general and Indian cricket in particular. He has innumerable mammoth records for his successors and fellow cricket players to imitate and break. However, most of his records seem unbreakable. Can anyone break Sachin's records? I doubt it! most number of centuries in Tests – 51.
maximum man of the match awards in World cups. greatest number of 50+ scores in one dayers – 145 (49 hundreds and 96 Fifties). has most scores in 90s: 18 .
only Indian cricketer to have scored a century in his ODI captaincy debut (scored 110 v Sri Lanka at Colombo - 1996). first Indian to score 100 runs and capture four wickets in the same ODI (he achieved this feat against Australia at Dhaka on 28 October 1998). 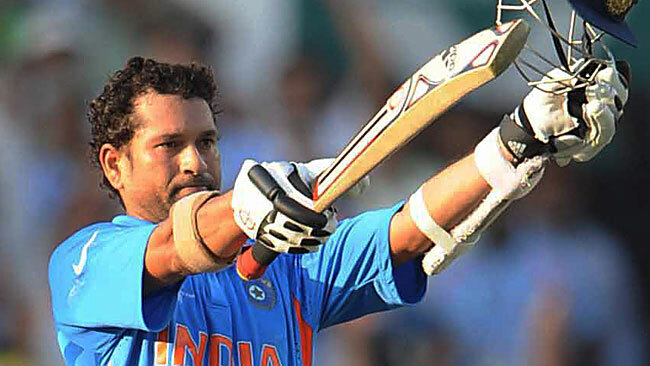 Tendulkar was the top-scorer for India on a maximum number of 129 occasions in ODIs. He is the only batsman watching whom Sir Don Bradman relived his cricketing life. Don Bradman said that he felt Sachin's batting style reminded him of his technique and compactness. His batting exploits throughout his cricketing career are phenomenal. But I specially love his Sharjah storm innings - the way he batted that night was sublime. It appeared as if God was batting for India. I and most of Sachin's fans hope and pray that our favorite cricketer gets the much deserved Bharat Ratna for all the stunning achievements made for his country.There can never be another Sachin, and thus the country must acknowledge his tremendous feats and award him the most prestigious national award. As a Sachin fan, I wish my best cricketer continues to be the light in darkness for Indian cricket even after his retirement from all forms of the game. All the best Sachin. May you have all the happiness in the world! Yes, I cannot imagine cricket without Sachin and Sachin without cricket!! God alone knows if I ever will watch cricket again once Sachin hangs up his boots!